Buen álbum pop. Simple, pero muy comercial.<br>Mis canciones favoritas:<br>1. Get Down (You're The One For Me)<br>2. We've Got It Goin' On<br>3. Quit Playing Games (With My Heart). Good strong debut album with great singles and very slick. <br><br>28 weeks in the UK top 100. <br><br>UK#12.<br>32 weeks German top 10. Germany#1 (2 weeks).<br>24 weeks Hungarian top 10. Hungary#1 (1 week).<br>20 weeks Greek top 10. Greece#2.<br>Iceland#2.<br>Portugal#2.<br>Spain#2.<br>5 weeks Danish top 10. Denmark#4.<br>Italy#10.<br>Scotland#23.<br>Ireland#29.<br>France#39.<br><br>16 weeks Euro top 10. European Hot 100#7.<br><br>Japan#54.<br><br>Zimbabwe#3. 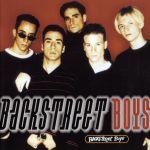 <br><br>World Chart Year End (1996): #6.<br><br>280,000 copies sold in the UK.<br><br>The biggest selling global boyband album of 1996. Meines Erachtens das beste, das BsB gemacht haben (man könnte sagen, damals waren sie noch so schön "unverbraucht", die anderen Alben sind nicht schlecht, klingen aber alle nicht mehr so locker und ungekünstelt).<br>Anspieltipps sind natürlich die Singleauskopplungen Tracks 1 bis 5, aber auch 7-9. Ich persönlich empfand "boys will be boys" oder "roll with it" etwas schwächer, aber das tut dem Album keinen Abbruch.